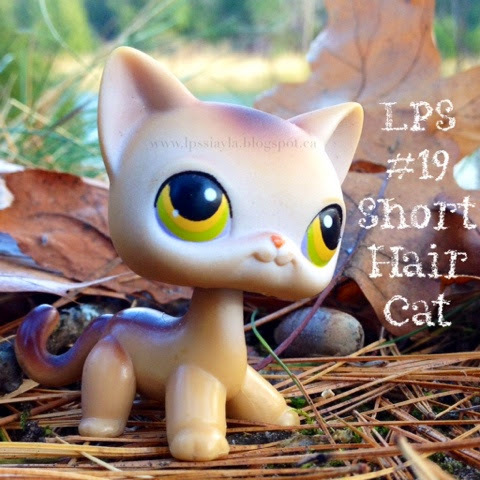 Number 19 is this short hair cat. It is brownish in colour with a dark over spray over a lot of it's body. The face has white over spray and is much lighter in colour. It's eyes are yellow and green.